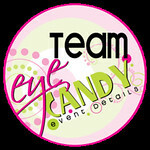 The Olympics are fast approaching...do you plan on watching?? The lizard & ladybug are excited to see what the Olympics are all about. I've been collecting lots of fun ideas on my Olympics Pinterest board. 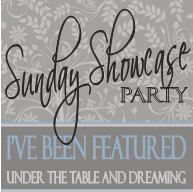 Here are some really fun ideas to do with the kids. 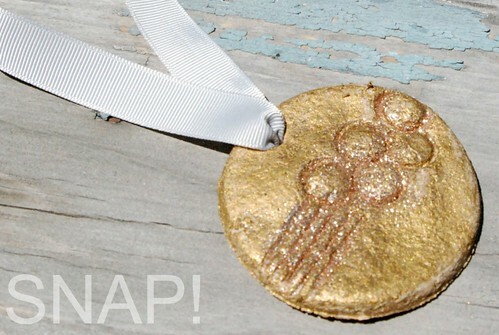 DIY Olympic Medals from Brassy Apple. Here are the instructions..super simple!! We made these this week. I'll post the results later today on Facebook! 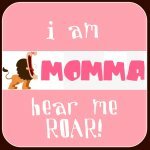 Kelli of Random Thoughts of a Supermom is my go-to for fun kid activities! She shared these Olympic Nations Flags. 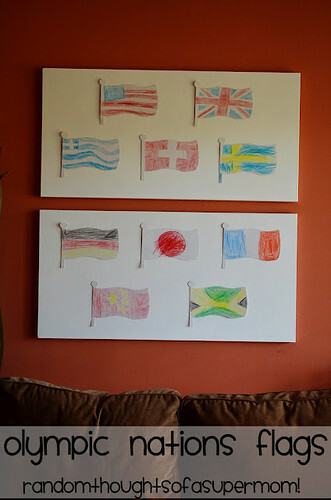 These are a great way to teach the kids about other countries. Plus you'll end up with a fun piece of art to hang during the Olympics!! And of course there's always room for sweets!! 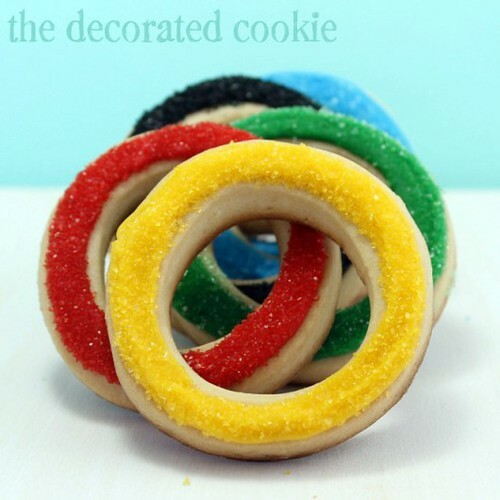 These Olympic Rings from the decorated cookie are PERFECT! I think the cookies are super cute and yummy. They scream the Olympics. The medals are nice. I love those cookies! Great idea!